Do you think you could make it through 24-hours without ice? Even on the coldest of wintery days, we still like ice in our drinks. Ice in drinks is one thing, but what about out-of-control ice? That would be those dangling shards hanging from your gutters. In the right light, those icicles can look pretty, but then they start to melt and fall off, posing a major hazard. 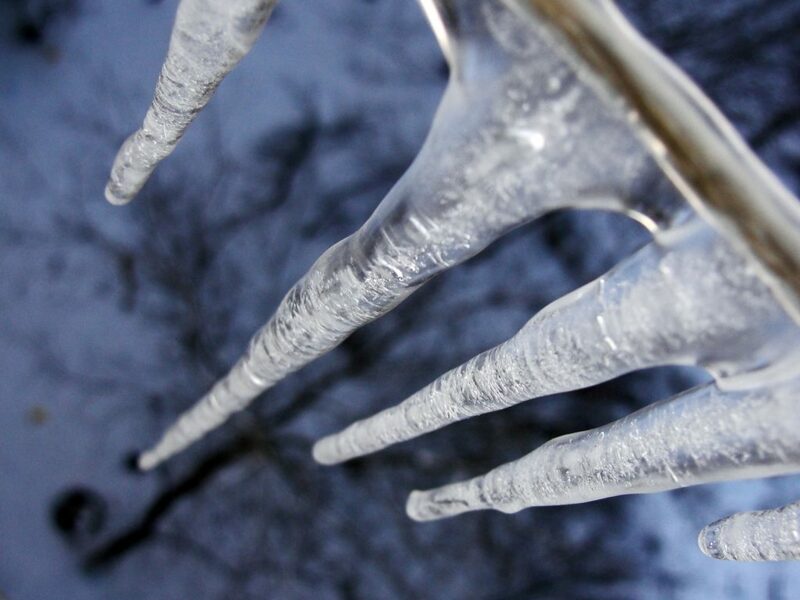 The formation of icicles also means one thing: You didn’t clean out your gutters. This is no time to point fingers. You’ll have to take care of those icy gutters ASAP. If icicles have formed on your gutters, then you want to confront those head on. Sweeping a sturdy broom handle across them will break off the spikes. A hockey stick would also work great. Just be sure to stand as far back as you can. If you’re breaking icicles over a porch or steps, sweep them off so folks won’t slip. The wrong approach to icicle removal involves anything electric. That means using a blow dryer on a long extension cord is out. You should also avoid using tools like axes or ice picks to chop at the ice. This requires a lot of leverage — which is difficult to produce when you’re on a ladder and bundled up in the cold. Once the icicles are down, the rain gutters could still be clogged with ice. You need to get that ice out or more icicles will form. A thermos of hot water carefully poured on the offending ice will loosen things up. You have to take extra caution with this, especially if you’re climbing a ladder. Keep safe and go slow. Melting that ice will probably reveal the location of the clog. As long as you’re up by the gutters melting that ice, you’ll want to clear them of any leaves or debris. This is what caused the icicles in the first place. The goal is to get the water flowing once again. Getting the snow off your roof will also help with this. Speaking of snow on the roof, remove that too. A rake or broom should do the trick. If you really feel motivated, you can make your own snow removal tool. You don’t have to remove every flake. Instead, just bring down what you can reach with your tool. That will loosen up what remains, and the sun will do the rest. The source of your blockage might be at the end of the line. Check the bottom of your rainspout to see if the melting ice is flowing out. If not, then you’ll have to use a hanger to dislodge debris. If that fails, then it might be time to bring in the pros for a proper cleaning. The passive option might also be the safest. You could just wait it out. Sooner or later, that ice is going to melt. Again, removing icicles that present a clear danger is vital. However, if those icicles are hanging from parts of the house that no one walks under, then you might be better off waiting. The best way to clean icy gutters is to never have icy gutters. That will require adopting preventive measures on your part. Start with your attic insulation. Oddly enough, you don’t want things to get too hot up there. It could melt the snow and cause refreezing when you turn the inside temps down at night. The best insulation would be an R-value in the R-49 to R-60 range. If you’re not sure where your attic insulation falls, then you want to get a complete inspection. It could be that your current gutters just aren’t wide enough to handle the water flow from your roof. You can opt for wider gutters or add an additional downspout to take some of the pressure off. Once your gutters are clear and your insulation is where it should be, you’ll sleep a lot better… with or without the ice. 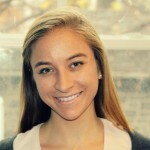 Megan Wild is a residential construction expert who enjoys flipping old homes. When she’s not scouring her neighborhood for her next project, you can find her tweeting home inspiration at @Megan_Wild.